Isuzu Philippines Corporation (IPC) is injecting a youthful vibe to its best-selling D-Max pickup truck with the market launch of the 2017 D-Max X-Series. It transforms the tough for anything D-Max into a lifestyle vehicle fit for active and dynamic families. “There is no denying that the Isuzu D-Max is an ideal vehicle for leisure activities and is also a highly capable workhorse. With the arrival of the new D-Max X-Series, the model now addresses the lifestyle mobility requirement of active and urbane families too. 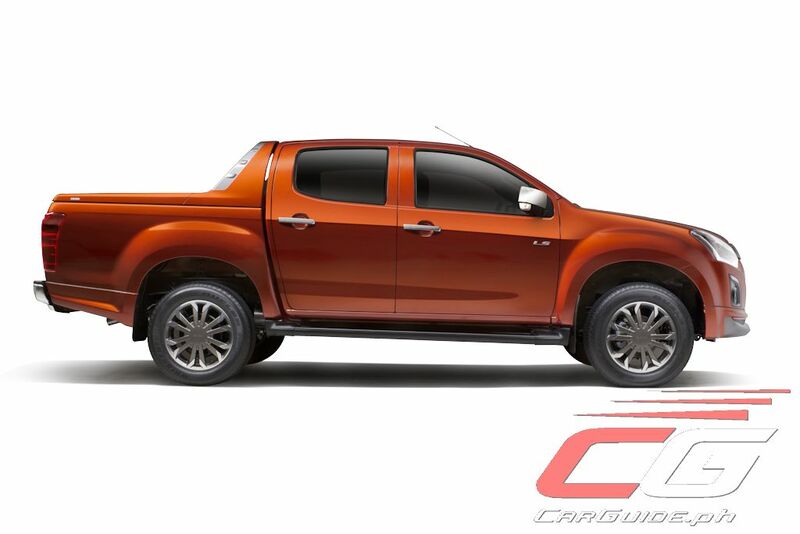 So now, no other pickup truck available in the local market can offer the combination of utility, reliability, versatility, and high style that the D-Max X-Series does,” said IPC President Hajime Koso. 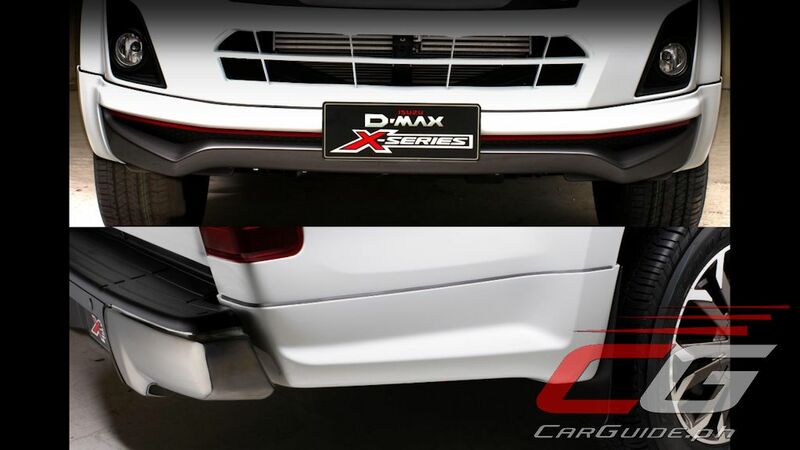 The 2017 D-Max X-Series add more visual flair headlined by a functional front bumper skirt highlighted with sporty red striping. 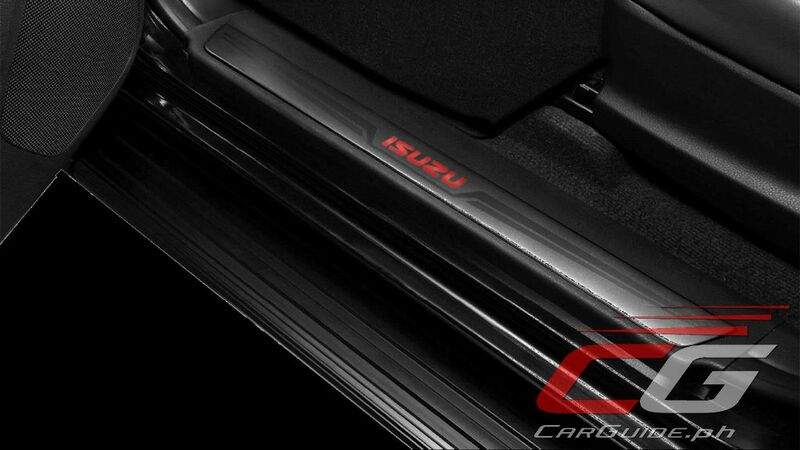 It’s complimented by a gun-metallic radiator grille brightened up with a bold, red Isuzu badge in the middle. 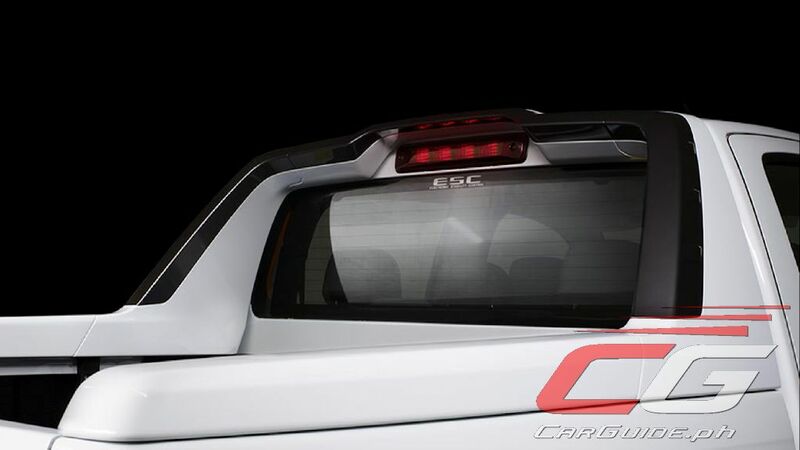 Towards the rear, the D-Max X-Series features a special side skirt mounted towards the bottom edge of the pickup bed while a cargo spoiler gives a sleeker silhouette. 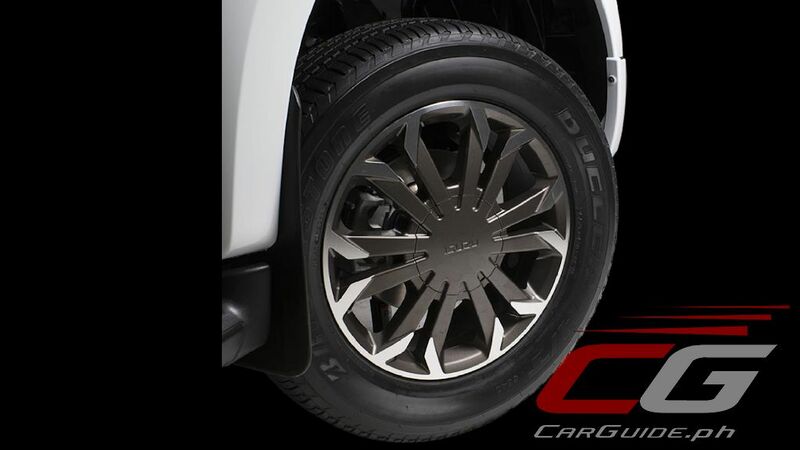 Enhancing the aesthetics further are newly-designed, two-tone 18-inch alloy wheels. 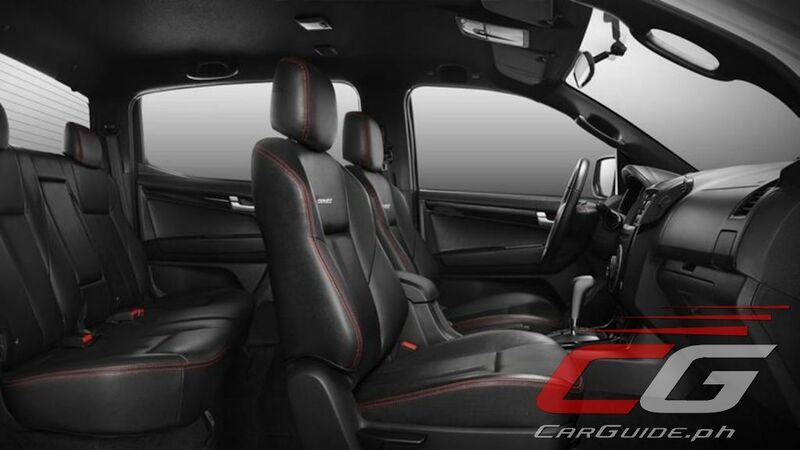 The D-Max X-Series carries that sporty and youthful vibe inside. Matching the red accents on the exterior are the red stitching on the black leather seats. Special ‘X-Series’ badging is proudly displayed on the front seats while scuff-resistant piano black trim give it a more masculine flavor. 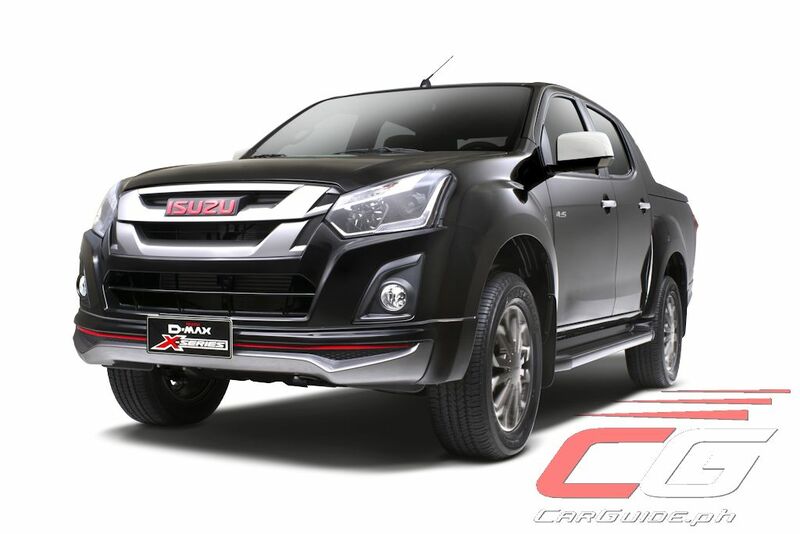 Exclusively available as a 4x2 model, the D-Max X-Series is powered by Isuzu’s 4JJ1-TC (HI) diesel engine. 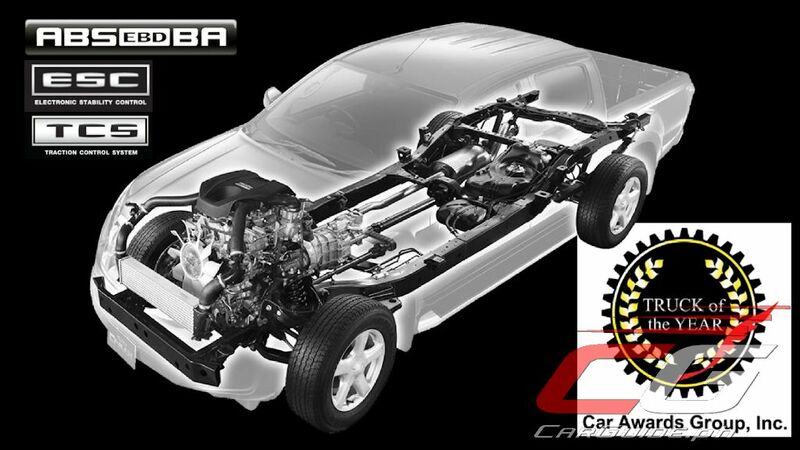 Equipped with a Variable Geometry System (VGS) turbocharger and intercooler, this 3.0-liter CRDi engine produces 163 horsepower at 3,200 rpm and 380 Nm of torque from as low as 1,800 rpm. Power and efficiency are guaranteed thanks to a choice between a 5-speed manual or 5-speed automatic with sequential shift. “Isuzu Philippines sold 3,966 D-Max units in 2016, with deliveries rising 27.3 percent when compared to the model’s sales result in 2015. 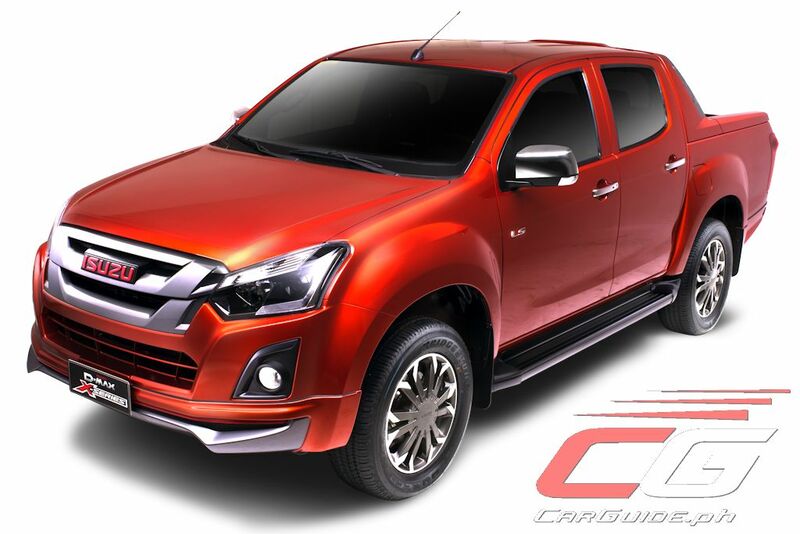 This growth, which is in lockstep with the pace of commercial vehicle demand in the country, was fueled largely by the continuous upgrades that the D-Max has received. 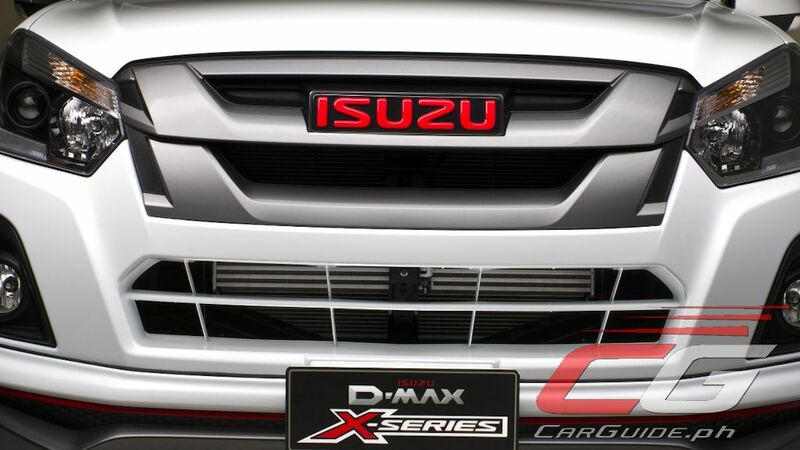 The introduction of the new X-Series line is meant to sustain the D-Max’s upward trajectory,” Koso said. And as a special treat to would-be buyers, Isuzu has partnered with leading sports performance brand, Under Armour. Every purchase of the 2017 D-Max X-Series comes with a selection of Under Armour products that complement their active lifestyle. Customers can choose from a collection of sports polo, streaker, or coolswitch shifts; Golf towel, sports cap, sack pack, and duffle bag. 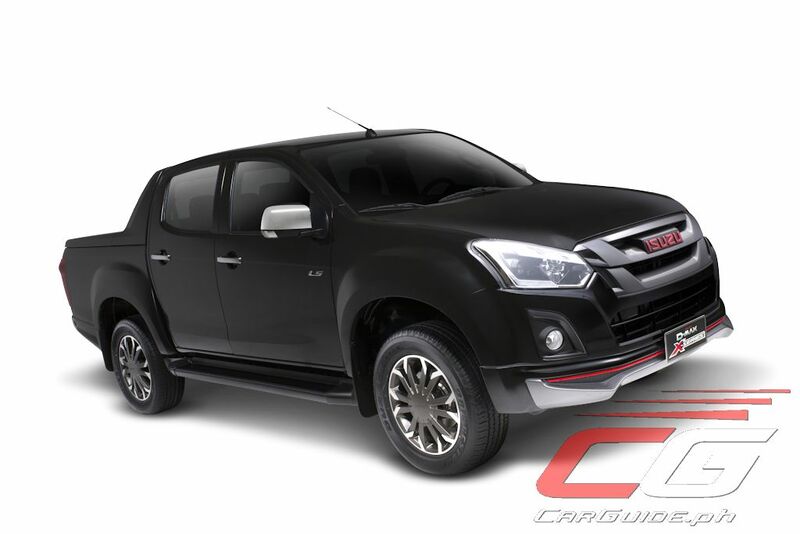 “Aside from its already sporty looks, Isuzu collaborated with Under Armour to create a special X-Series collection sports apparel and items which are ideal for those buying this limited edition D-Max variant. We picked this brand because it embodies the same characteristic of the X-Series which is tough and active,” Koso added. 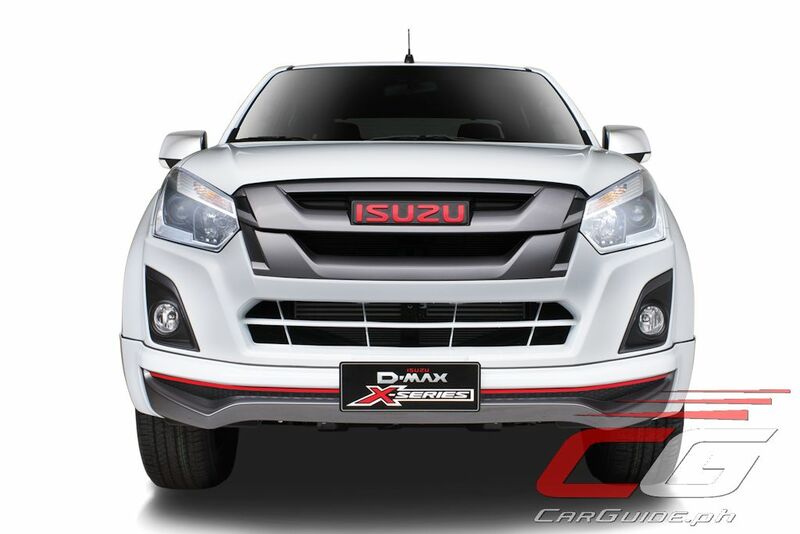 The D-Max X-Series is available in three colors: Splash White, Venetian Red, and Cosmic Black. It’s priced at P 1,260,000 for the MT and P 1,330,000 for the AT—around P 100,000 more than the D-Max 3.0 LS 4x2. Thx po to all readers, especially to Carguide for giving enthusiasts and buyers detailed information on every car. Thx a lot din po for providing readers the opportunity to share their own views and insights. Mazda became the best pickup truck in other countries like Australia ... we dont know your references. It depends upon one's preferences. LOL.. Autoactiv just got burned. Nakahanap din ng katapat. Then please explain why there's so much ? I'd love to hear it ? Ranger the most disliked? In terms of sales, it's for three years been the biggest threat to the Hilux, not just here but in many other countries. The pick ups of the rest of the other brands don't even come close. will the x-series be carried to MUX? Isuzu kailan pa nyo dadalahin dito sa pinas yung ddi blue power engines nyo na available na ngayon sa thailand market? Bilisan nyo! Dapat andito na i-blue 1.9L engine ng Isuzu D-Max, Bakit hanggang ngayun wala pa, Sir Uly, any confirmation from Isuzu Phil's.? Sana nga makarating na dito sa pinas. Kasi i-black 3.0 engine pa lng ang meron. 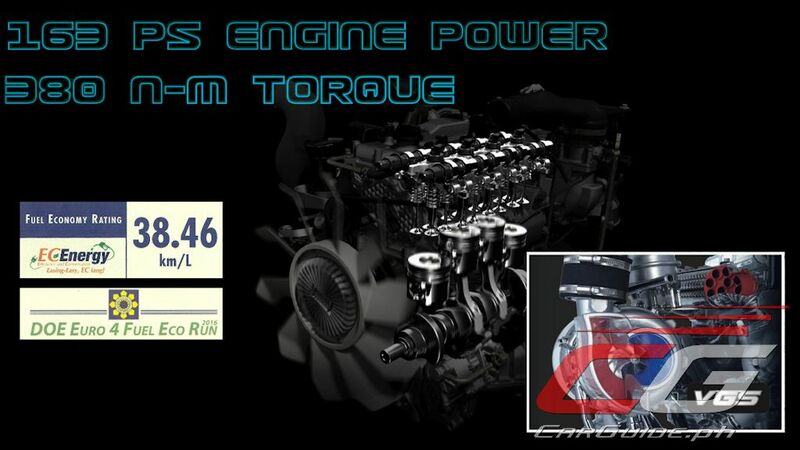 The 1.9 Blue Power replaces the 2.5 engine. There's a 3.0 Blue Power as well. Likely, it will be in 2017 or 2018 pa.
you nailed it right sir..its the biggest disappointment sa gustong bumili, me included. so i opted for hilux instead.